A family from Engcobo who booked a deceased young male for a post mortem at the Mthatha Pathology Laboratory are reeling from the shock that the body of the deceased has gone missing from the facility. And now, several weeks later, the police are seemingly no closer to tracking down the body of the deceased. Is this the way that the government cares for its dead? I have submitted parliamentary questions to the MEC of Health, Helen Sauls August to get to the root cause of this atrocity. I have also asked her to provide the qualifications of the managers at the facility, and what plans are in place to ensure that the facility is fully equipped and functional at all times. Families in mourning are already deeply traumatized and emotionally vulnerable after losing a loved one. Imagine the hurt and added trauma when they find the body of their loved one lying on a floor in the cold room. Imagine not being able to find the body of your loved one at all, and not being able to give them the dignified burial service that every human being deserves. The Mthatha Pathology Laboratory is allegedly very poorly managed, with senior and middle managers employed for their political affiliation and not suitably qualified to do the work required. Other staff members are demotivated and frustrated, as they are owed substantial amounts of overtime accruals, some from as far back as 2016/2017 financial year, but management has not addressed this issue. Furthermore, over the Christmas season when the service provider for maintaining the fridges and cold rooms was on leave, no backup plan was in place and when fridges broke down, more than 200 corpses were allegedly stacked on the floor of the cold room. Where the Democratic Alliance governs, we employ managers at all facilities that are fit for purpose and qualified to do the work, regardless of their political affiliation. Respect for the deceased is paramount, as is respect for the families of the deceased. The failing ANC government has stooped to a new low. For them, losing votes is to be expected, but losing corpses is simply a disgrace. 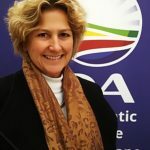 Vote DA to bring accountable government to the Eastern Cape. The citizens of this province deserve nothing less.